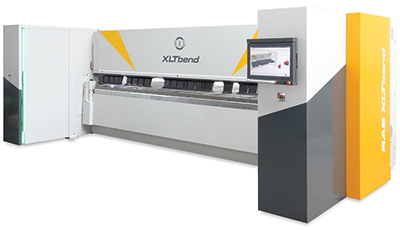 RAS Systems, LLC, will show its new XLTbend 11-gauge mild-steel (13 gauge on 4-m model) folding machine. With one-click programming, the Bendex3D-powered XLTbend can import DXF, STP and GEO files directly into the control. Add to this a hybrid backgauge solution that allows the operator to place the workpiece, and the machine takes over from there. The XLTbend folds up and down and can be operated from the front or rear.